At least 150,000 Irish-born men fought for the Union during the American Civil War. However this figure does not include those first-generation Irish, born in Canada and the United States, who considered themselves just as Irish as anyone born on the Emerald Isle. 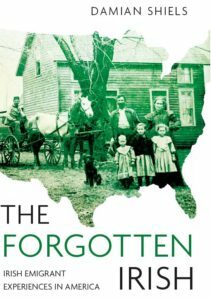 In an antebellum society where Know-Nothingism and anti-Catholic sentiment were widespread, ethnicity and religion bound Irish-Americans together in a tight-knit community. Tens of thousands of these Irish-Americans laid down their lives during the war, men like James A. Mulligan of ‘Mulligan’s Irish Brigade’ and the oft-quoted Peter Welsh of the 28th Massachusetts, Irish Brigade. Another was Colonel James Edward Mallon, who died 150 years ago this October at the Battle of Bristoe Station. During the advance of the enemy, and while the fire was hottest, a part of the line of the Forty-second New York, composed principally of conscripts, and much exposed where a road crossed the track, gave way. In attempting to rally them Colonel Mallon, commanding the brigade, was shot through the body and died in an hour afterward. Hunt, Roger D. 2003. 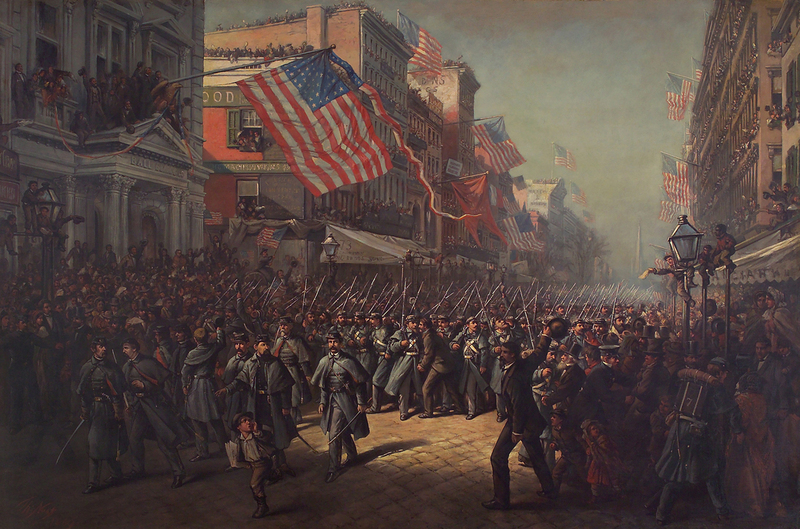 Colonels in Blue: Union Army Colonels of the Civil War: New York. New York Irish-American Weekly 9th May 1863. Relief from the Tammany Regiment. New York Irish-American Weekly 31st October 1863. The Battle of Bristow Station: From The Tammany Regt.- 42d N.Y. Vols. New York Irish-American Weekly 14th July 1888. Brooklyn Echoes. New York Times 21st October 1863. Acting Brig.-Gen. James E. Mallon. New York, Death Newspaper Extracts, 1801-1890 (Barber Collection) for Hugh Mallon. Official Records of the War of Rebellion Series 1, Volume 29 (Part 1). Report of Lieut. 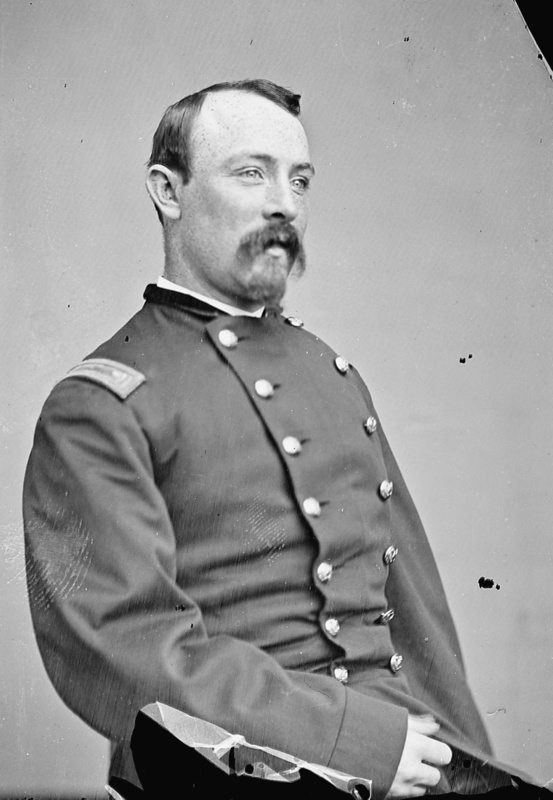 Col. Ansel D. Wass, Nineteenth Massachusetts Infantry, Commanding Third Brigade. James E. Mallon Widow’s Pension File (WC25436). New York Adjutant-General Report 40th New York Infantry. New York Adjutant-General Report 42nd New York Infantry. Thank you for the great post! I was just briefly in Armaugh at the Catholic Archdiocese Archives hunting for Hugh Mallon’s beginnings without much luck. There are no direct descendants of James. His brother Thomas (my gg-Grandfather) was also an officer during the Civil War. Their sister Theresa was also married to a Union officer, of Irish descent. I am glad you enjoyed it. He was a very impressive individual, as was his brother- great men to have as ancestors! Thanks for sharing the information on Thomas and Edward as well! This entry still hasn’t been corrected. Over 200,000 soldiers and sailors born in Ireland fought for the Union. 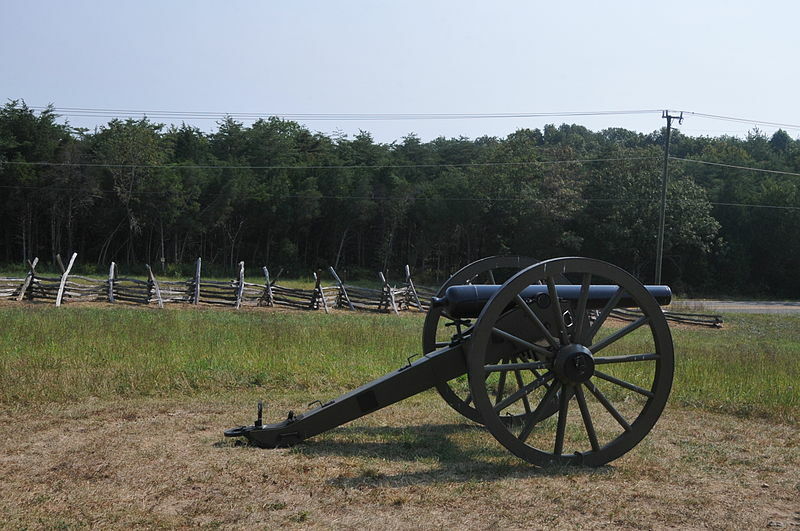 150,000 is an estimate for some of the volunteer units and does not include the Regular army, marines or the Navy, nor the militia units which fought at Bull Run. Thanks for the comment. I am in agreement that the figure of 150,000 Irish may well be low, it is something I have long wanted to explore in detail. If you have references to any detailed work that has been carried out on the figures I would be keen to see them- 150,000 is the standard referenced figure I have come across. I would be particularly keen to see your sources for the % of Irish-born during the conflict serving in the regulars and marines, as I have not come across these before and would be very interested in them. Thank you posting the wonderful tribute to Colonel Mallon. Mallon was an amazing guy. 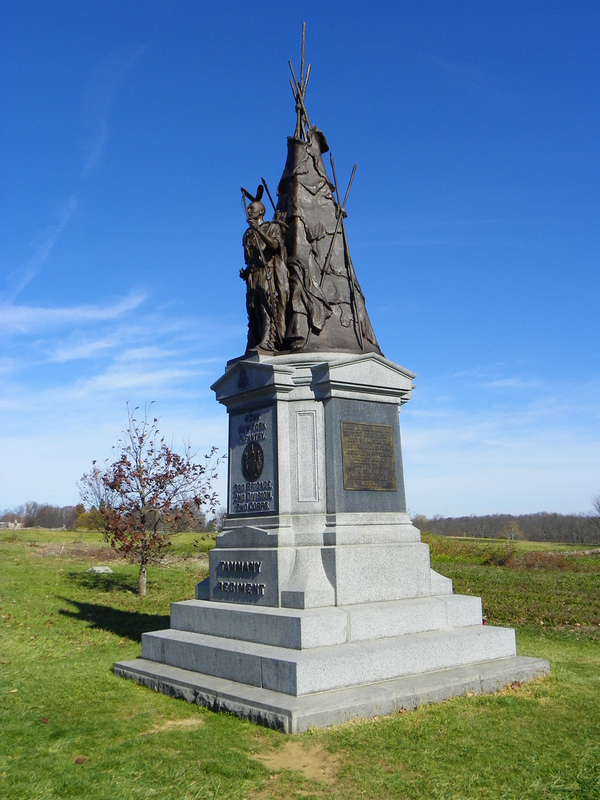 I’ll add one more example to your fine work: at the Battle of Antietam, James Mallon was cited in the Official Report of Colonel Norman Hall (OFFICIAL RECORDS: Series 1, Vol 19, Part 1 (Antietam – Serial 27) , Pages 321 – 322) found at http://antietam.aotw.org/exhibit.php?exhibit_id=124 for recovering their fallen colors from the advance of the enemy during the height of the conflict. Thanks for the contribution and the added piece on Colonel Mallon at Antietam- he certainly was a fascinating character! Dear Damian, I think I have told you this before, but ok. 150,000 is the number from the Sanitary Commission report. It is the Sanitary Commission report’s estimate of the number of Irish born soldier’s who enlisted in state volunteer regiments. According to the Sanitary Commission, it does not include. Irish soldiers in regular army units, and there were quite a few, nor the troops from US territories, nor militia units, nor sailors and marines. As the Sanitary Commission noted, even its estimate for the state volunteers was problematic, since the Union army did not record country of birth for 43 percent of the state volunteers. Since no historian has ever published an estimate to adjust for the omissions, and I am uniquely qualified by education and profession to make one (actually overqualified because it wasn’t that hard) I devoted some of my valuable time to developing one. Here’s the short version without the details of the regression analysis and age cohort survival models. Many thanks for this- although you had provided a revised figure before you hadn’t passed on this information, it is really interesting to see. As I mentioned above I am in agreement that the figure almost certainly should be revised upward and it looks like you have done a good bit of work in this regard. Have you ever considered formally publishing this? I think it would be worth it as the only detailed statistical analysis that I know has been on Irish in the Confederate forces. Very interesting. I’d love to find out where in Armagh his parents came from. I am from Darkley, near Keady in Armagh. I’m doing a book on the local area and researching emigrants from the area. Would love to find someone like him from my area. Hi have never seen it specified, but I would be surprised if it couldn’t be tracked through something like contemporary newspaper research. I will keep my eye out and if I come across anything I will let you know!